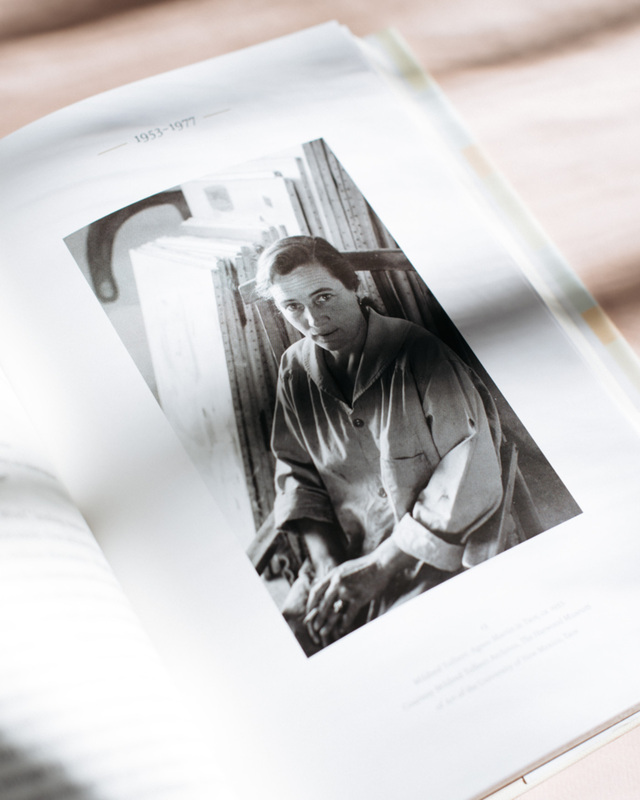 Picture of an open book, Agnes Martin – Her Life and Art by Nancy Princenthal, that features a portrait of the artist taken by Mildred Tolbart in Taos circa 1953. 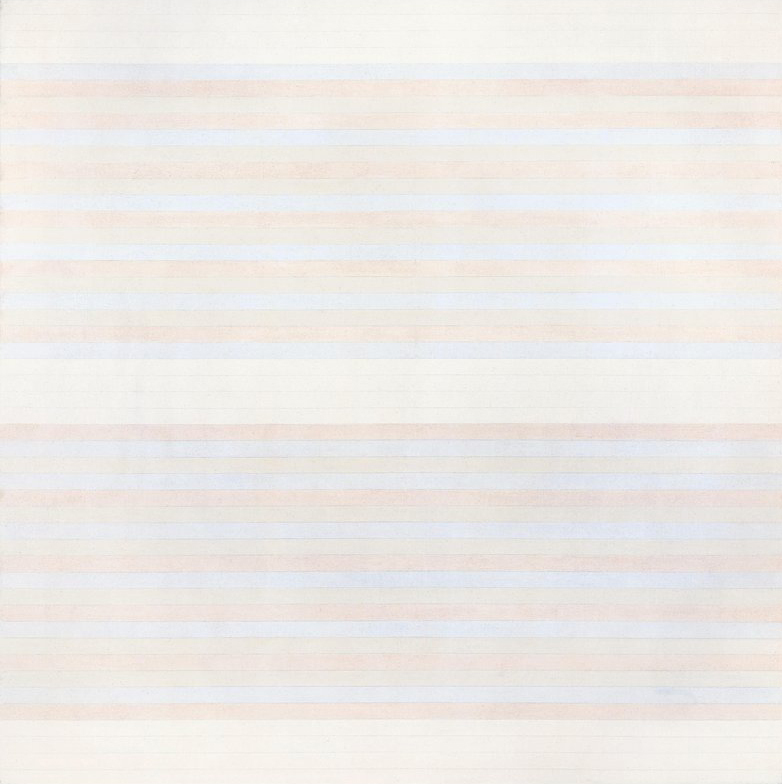 Agnes Martin: Untitled #9, 1981. Gesso, acrylic paint, and colored pencil on linen. The painting belongs to the Doris and Donald Fisher Collection at the San Francisco Museum of Modern Art and is on view on floor 4. Image via sfmoma.org. “Inspiration is there all the time. I went to see the new SF Moma. It was re-opened after a three-year renovation in May 2016. The building and visitor experience is beautifully re-designed with a clean interior featuring white walls, maple wood flooring and furniture, and lots of natural light. A small hexagonal room on the fourth floor is dedicated to Agnes Martin’s work. Like a chapel, it displays her signature square paintings in a very special atmosphere. The arrangement is similar to the Agnes Martin Gallery in Hartwood Museum of Art in Taos, New Mexico. When we arrive in the room, a museum guide is telling a story about her dog always calming down near these paintings. And that is the thing with mastermind painters like Martin, or Rothko. Their work contains magical ingredients but you have to be up close to the artwork to really understand how powerful it is. So we wait until the group of visitors is gone, sit down on a round sage green leather and wood bench, and take a moment to meditate on Martin’s brilliant creations. Inspiration is there. It is a peaceful thing. Quote in the beginning from the book Writings.